Being a bridesmaid is supposed to be an honor. Your best friend or cousin offered you to be her bridesmaid. You shouldn’t refuse her on such an important day. But if a bride is determined to have the whole wedding to her liking, the role of the bridesmaid can become the nightmare. 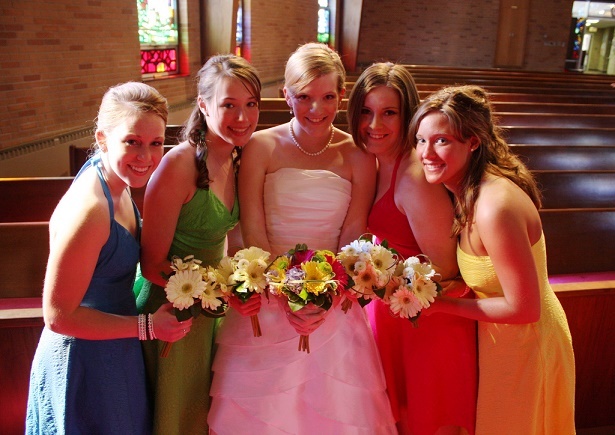 Not so long ago it was simple enough - white wedding with bridesmaids wearing matching dresses. Whether they liked it or not, whether they hated it or not was important. Lately, it seems that girls listen a bit closer to the wishes of their friends which led to the birth of a new fashion trend – mismatched bridesmaids’ dresses. 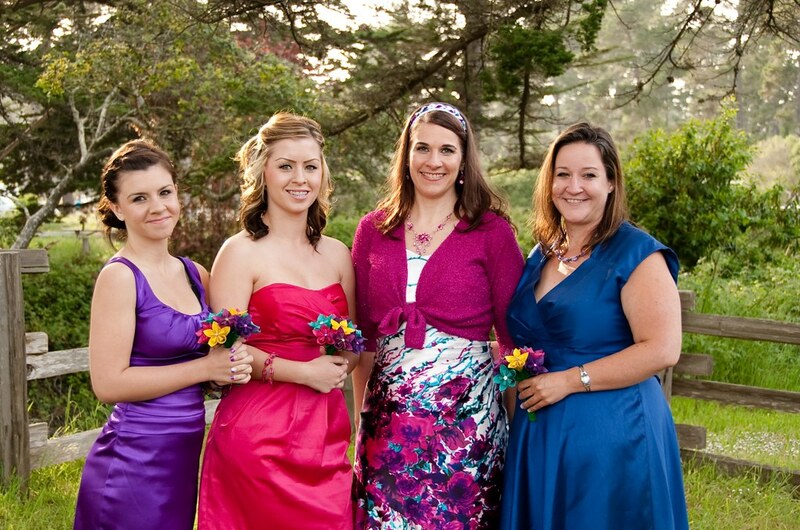 Over the past few years, it is increasingly popular to let your bridesmaids wear what suits them best. Instead of being stubborn and insisting on the same color and same style dresses, you should think about what they like. A redheaded girl can look quite bad wearing pink, chubby one will not feel comfortable in the body - hugging dress, short one will not enjoy Grecian goddess look. And if you want them to have fun at the wedding, allow them the freedom of choice. The days when bridesmaids wore the same dresses are gone. Now, the brides are mixing up different styles, colors and fabrics to make the whole wedding experience more fun. This trend allows each woman to highlight her individuality. But, mismatched dresses don’t mean that everybody can wear whatever they like. As a bridesmaid, you should respect bride’s wishes. If there is a chosen theme of the wedding your dress should follow it. Not being forced to be dressed the same doesn’t allow the bad taste. If you want to look stylish you should follow some simple rules. First of all, you should try to keep the length of the dresses the same. Second, the dresses are not supposed to be completely different. They should have not more than two features different. Nowadays it is popular to wear dresses in completely different colors. But it is very complicated to choose different colors that actually match each other. If you don’t want your wedding to look like a county fair, set some boundaries in the color palette. You can’t go wrong with neutrals and black is working quite well too. It might be wise not to let the girls shop alone. You can, for example, tell them that you want them in pink, and end up having six shades of pink or six different fabrics. That will not look good on your wedding photos. Allowing too many choices can backfire on you, so prepare before shopping, and narrow down the choice of colors, necklines, and fabrics. What can actually work well is having the same color but different styles. Let’s say that the dresses are of the same fabric and color, but one dress can be strapless, other a high–neck and so on. 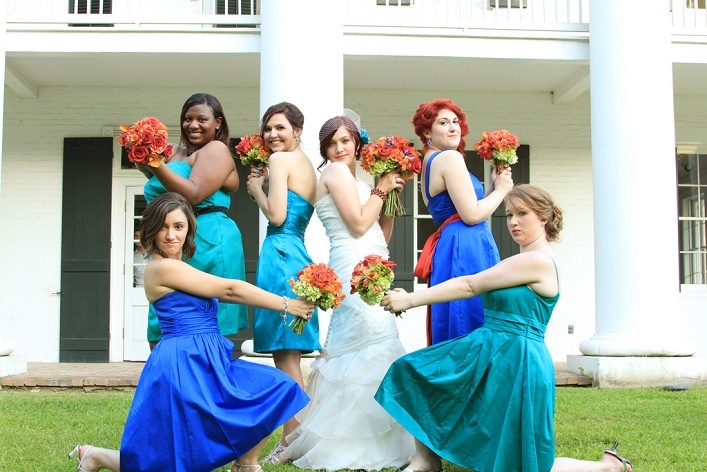 This way you will have you color scheme but the bridesmaids can choose their own style. There is one option that can also work well – same style, different color. So you pick the style and the fabric, and the bridesmaids will choose their dresses according to skin type, body type, hair color etc. If you are having an outdoor summer wedding, floral design might work very well. Finally, if you know and trust your friend’s sense of style you can give them complete freedom. Just give them some guidelines about the theme of your wedding. The wedding is the most important day in every woman’s life. The bride is expected to feel and look like a princess. So, it is up to her to allow her closest friends to share this joy with her, without thinking about how bad they look in the dresses they were forced to wear.